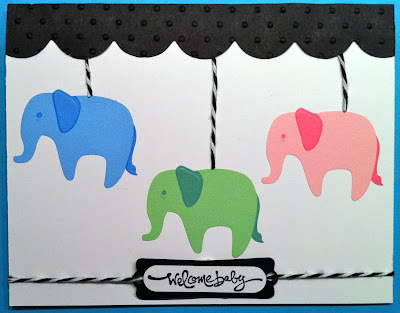 I wanted to use these Elephant stickers to make a baby card for this months Paper Crafts Baby Challenge and I couldn't figure out what to do with them. Then, tonight this came to me. I really like it because the black is unexpected for baby, but I think it works. 3. 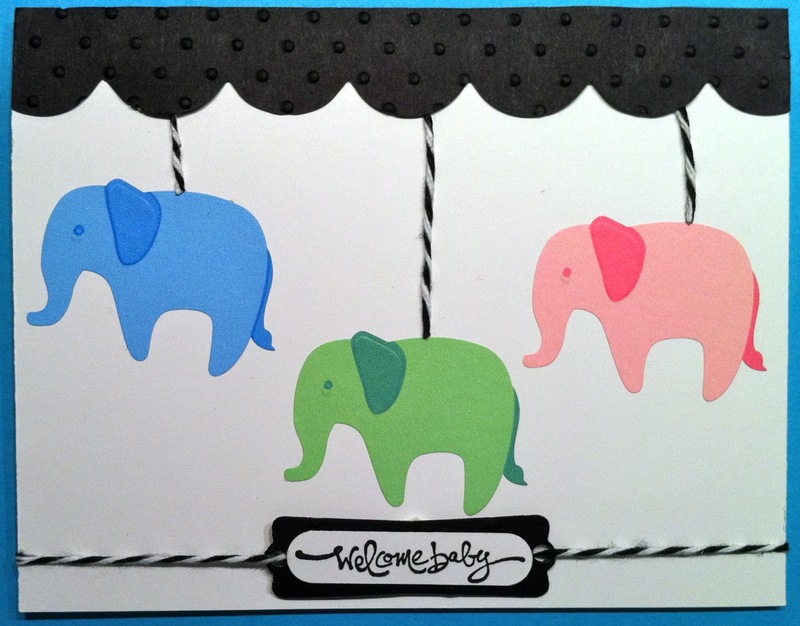 Place elephant stickers on the card. So darn cute, Donna! I love this for a baby! Nicely done!